3 bulbs/rhizomes per sq. ft.
(10-12” tall x 12-18” wide) The soft color scheme of Odorata Mixture Begonias has been professionally combined, allowing you to effortlessly create a seductive combination of scent and flower color in your shady and part-shade containers. Fully double, succulent blooms come in shades of pink, white and red and are held on strong stems just above dark green serrated foliage. Begonia Tubers can be started indoors for early bloom, or outside when temperatures warm above freezing. Odorata Mixture Begonias are usually at their best in containers where the abundant blooms can reach high or loosely fall over the sides of the pot. Plant in rich, moisture-retentive soil that drains well. 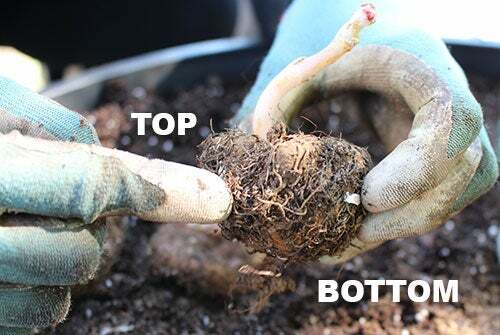 Watering too much can rot the tubers, which should be planted on their sides with the top of tuber at soil level. If planting in garden beds, make sure soil is moist but well-draining and ensure the plants are sheltered from afternoon sun.